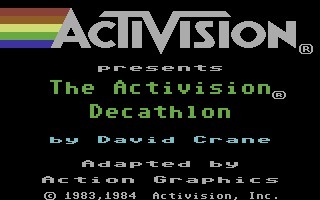 The Activision Decathlon, or simply Decathlon, is a sports simulation created by David Crane initially for the Atari 2600 and published in 1983. 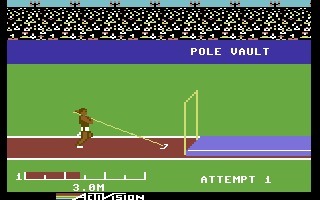 The Activision Decathlon, or simply Decathlon, is a sports simulation created by David Crane initially for the Atari 2600 and published in 1983. 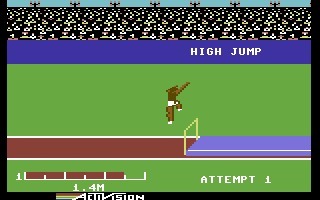 It was then ported to MSX, Colecovision, Atari 5200 and Commodore 64. 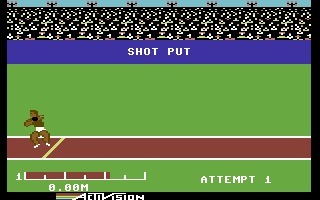 You can compete in several events: 100 metres, Long jump, Shot put, High jump, 400 metres, 110 m hurdles, Discus throw, Pole vault, Javelin throw and 1500 metres. 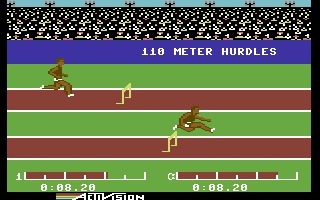 David Crane was able to put all the 10 sports in the limited capacity of the 8 bit machines. Decathlon was very popular in the 80s, also thanks to the arcade Track & Field, that was released the same year by Konami. Despite the graphics of the arcade is better, the two games look quite similar. 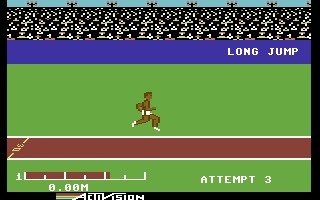 Many people remember Activision Decathlon because it was a "joystick destroyer". 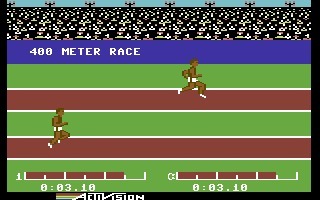 The rapid back-and-forth movement of the joysticks, required to move the athletes, was not exactly healthy for the controllers.